Frugally challenged: Where's my asbestos vest? I chose my user name with great care. I am truly Frugally Challenged. I know all the theory and quite a lot of the time I put it into practice. But not all the time. 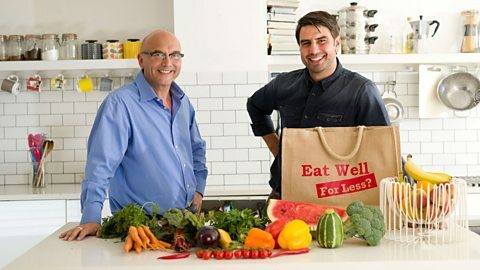 And I’m going to stick my head above the parapet and say that I am quite enjoying “Eat well for less” and I haven’t read that comment on any other blogs. I have been totally staggered at just how much the families spend on their weekly shopping but to be quite honest I don’t think they are exceptional. Go around Waitrose, Sainsbury or Tesco and you will see many people making the same mistakes. And many of us have made them too, probably not every week but we’ve made our shopping mistakes. We’ve failed to menu plan and make a shopping list. We’ve been seduced by phoney offers. We’ve gone for convenience rather than economy or even quality. The families which agree to go on the programme are presumably aware that they have a problem and they have indicated their willingness to change. However, if they were to watch the really frugal people who blog they would be deterred before they even started. It’s like telling me to get fit and expecting me to emulate an Olympic gold medallist. Not a pretty thought. We have had programmes about the difficulty of managing on benefits or minimum wage and I take my hat off to those for whom frugality is not a choice but a life sentence. But I also feel for those people who know there must be a better way but haven’t much of an idea how to find it. I agree with everything you've said. I think most 'frugallers' like me have found the program hard to digest because they don't feel the hosts are doing the people justice. One of the hosts is a TV cook but very little cooking takes place in the program and they certainly don't advocate going back to basics, merely swapping one convenience food for another cheaper version. So far none of the couples are attempting to save money because of extenuating circumstances such as losing a job, they merely want to undertake work on their homes. There is nothing like having a limited income to make you do the math. I certainly feel that they cherry pick the people who appear, after all this is about cheap telly not education. The country is full of people with more money than sense, I have dabbled my feet in that stream, luckily the sense kicked in. I hadn't realised that you would be able to see it in your part of the world, Pru. I've seen three episodes now and I am still staggered by the families' shopping habits. The lack of cooking skills is, I'm afraid, all too common. Break - but not the budget!